Home → → Terra Cotta Pottery Clay - 25 lbs. 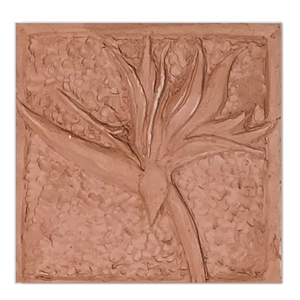 Our Terra Cotta pottery clay - Cone 04-4 is a standard in the field of pottery and ceramics. A versatile clay with fine grog for extra body and support, this clay is good for handbuilding, slab work and throwing. Recommended bisque firing Cone 04. Shrinkage: 6% at Cone 04, Absorption: 13.2% at Cone 04. Shrinkage: 11% at Cone 4, Absorption: 3% at Cone 4. Color: Terra Cotta at Cone 04. Type: Earthenware.